The use of surfactants and their blends to improve the penetration of two insect growth regulators (IGRs; hydroprene and R-20458) into wheat kernels was investigated. It was found that formulation of IGRs with a surfactant, Tween-85 (polyoxyethylene trioleate), increased mortality and/or effectiveness of the IGRs. Formulation of hydroprene with a blend of Span-80 (sorbitan monooleate) with Tween-80 (polyoxyethylene monooleate) produced results comparable to those by hydroprene with Tween-85. 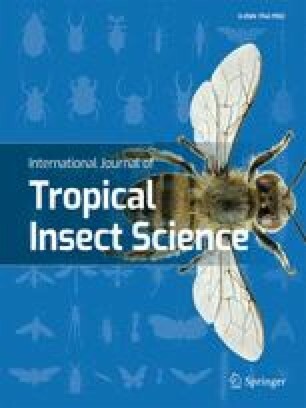 However, formulations of IGRs with surfactants with high or low hydrophile-lipophile balance (HLB), failed to provide suitable control of the weevil, probably due to the type of emulsions formed. The same results were obtained with hydroprene formulations with blends of Spans and Tweens, even though their HLBs were close to that of Tween-85. Residual half-life for hydroprene was about three months; formulations with Tween-85 or a blend of Span-80 did not enhance the residual activity for hydroprene in wheat.